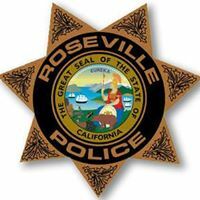 Roseville Police Officers converged on the area and located the suspect's vehicle. Officers attempted to make a traffic stop on the sedan but the suspect fled from officers, but shortly after the suspect was involved in an accident the trapped him in his vehicle. With assistance from emergency personnel, at 9:58 a.m. the suspect was taken into custody and provided medical treatment for injuries. There were two other vehicles involved in the traffic collision, and those individuals were transported to the hospital with minor to moderate injuries. Roseville Police note this was the seventh bank robbery since March and believe this suspect may be connected to other bank robberies. Roseville Police Officers, Detectives, and the FBI are continuing to investigate the incident.